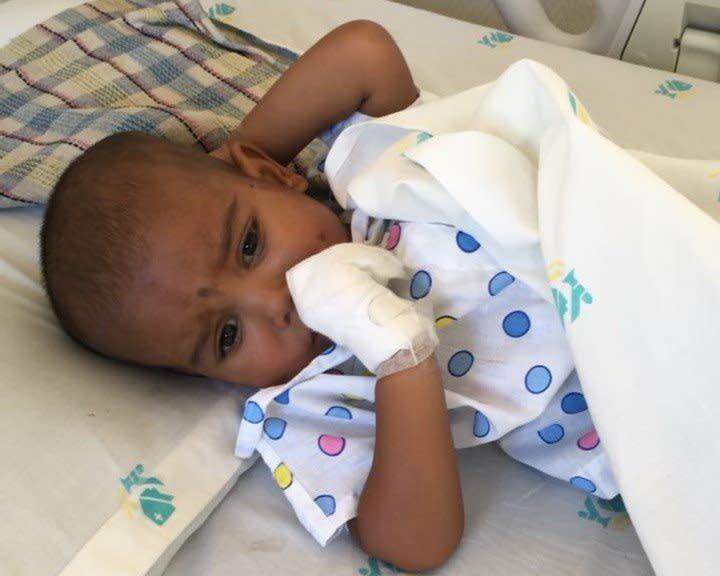 Waris is diagnosed with congenital heart disease and needs to undergo an open heart surgery. His family hails from Bihar and is into farming. In the recent floods, their crops were washed away completely, With much difficulty, Waris's father arranged for Rs.90,000. But they are in need of more money for the surgery. 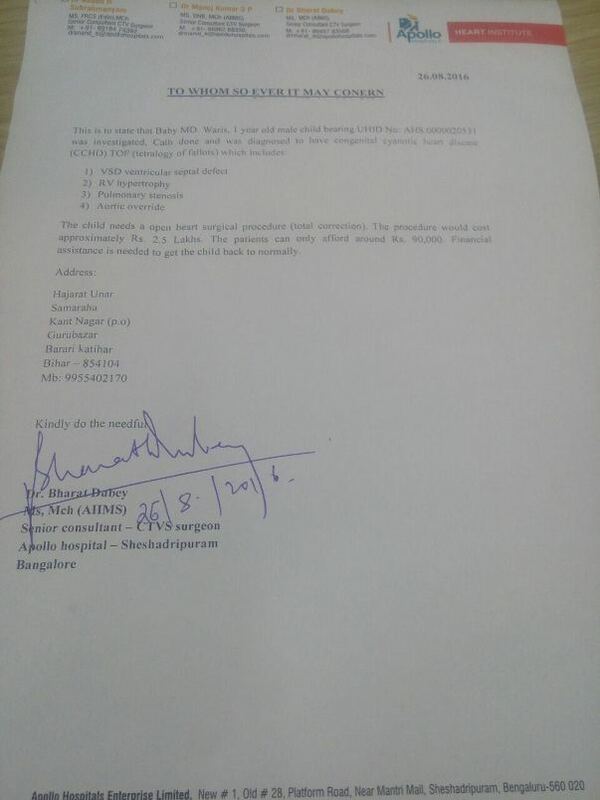 He was treated at Apollo Hospital, Bengaluru. Waris underwent open-heart surgery on December 2. The surgery was successful. His vital signs are normal after the surgery. 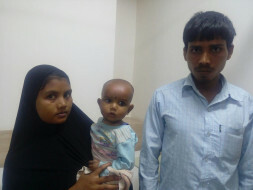 His parents are very relieved and hoping to return to their hometown in Bihar as soon as Waris is discharged. The floods in July washed away most of this season's crop in their farm as well as some of their belongings at home. This added to his parents' worries. Your support and blessings ensured that the family returned home with one less worry. We will keep you posted on further progress. His parents request you to please pray so Waris gets better soon. This is Waris's doctor. Waris underwent an open heart surgery on December 2nd. Thank you all for the support. The surgery was successful. The child's vitals are normal after the surgery. His parents are very relieved and hoping to return to their hometown as soon as Waris gets discharged. The floods in July had washed away most of this season's crops and some of the family's belongings from their house. This added to their worries. Your support and blessings ensured that the family will return to their home with one less worry. We will keep you posted on further progress. Please pray for Waris's health.